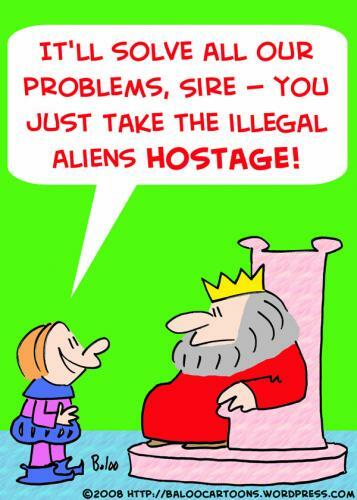 I didn’t draw this one as a political cartoon, but it’s always appropriate, as the illegal alien problem is the worst problem we’ve got. I understand that the current mortgage crisis is at least in part caused by subprime mortgages given out to illegals. Michelle Malkin discusses that here. This entry was posted on Thursday, October 2nd, 2008 at 4:38 pm and is filed under Uncategorized. You can follow any responses to this entry through the RSS 2.0 feed. You can leave a response, or trackback from your own site.